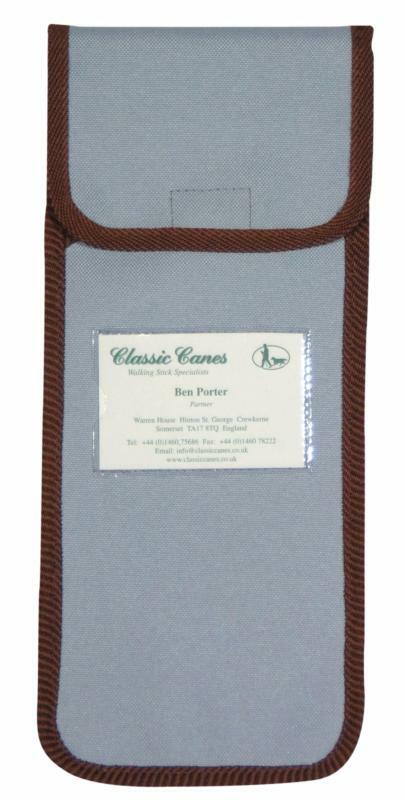 A convenient way to carry a folding stick when it is not required, such as in cars or aeroplanes, in cinemas or in restaurants. Closes with a velcro fastening. Features a belt loop on the reverse, and a clear pouch on the front in which to display your name and address in case of loss. 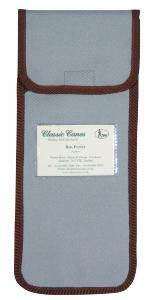 Fits all Classic Canes folding sticks. Available in brown/cream/red check (4621A); pale blue with brown trim (4621B); black with brown trim (4621C). Individually packaged for retail display.